Creeping. 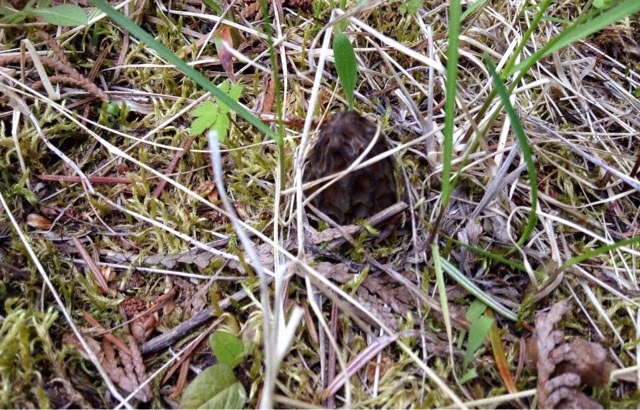 Hands and knees on spongy moss, deep in the needle litter where the field meets the trees. 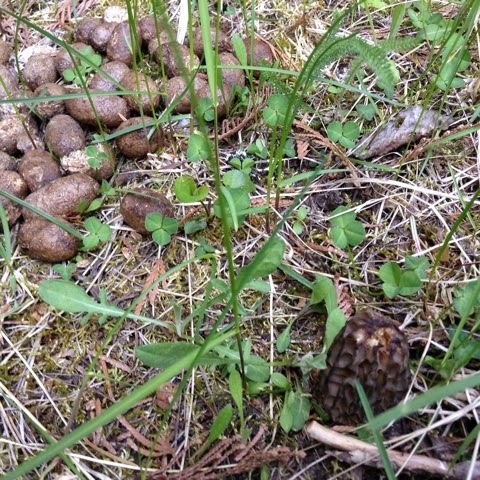 Next to a pile of old moose pellets they are sprouting. Small. Fresh. New, but with battered tips from pushing up through the duff. Not much relieves tension as reliably as a day alone in the underbrush. 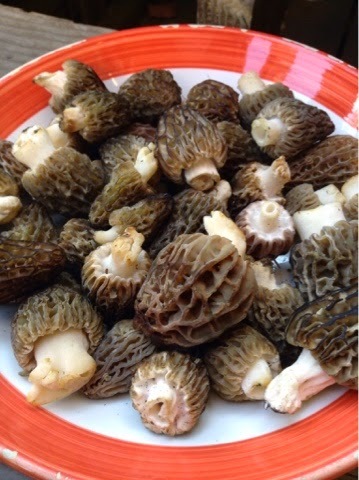 Foraging. Leaned against a trunk by a little stream. 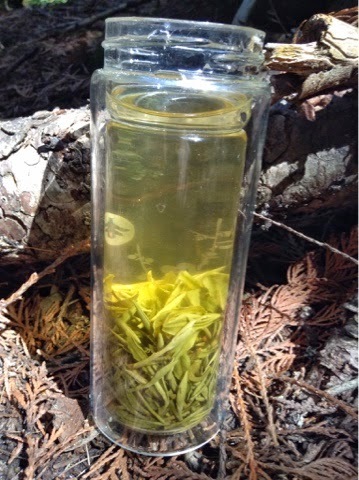 Thoughts fueled by green tea of the season, lively and quick. 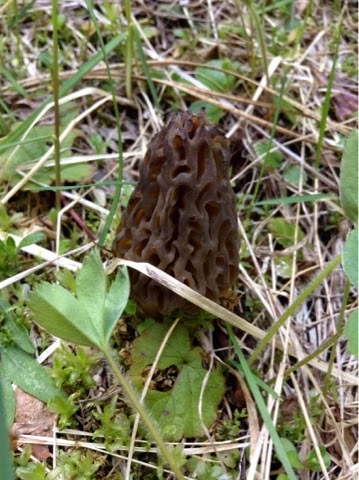 Morels are early this year and somewhat scarce. We need rain badly. Last year, I harvested this spot when the elderberries were blooming. Now they are barely leafed-out. 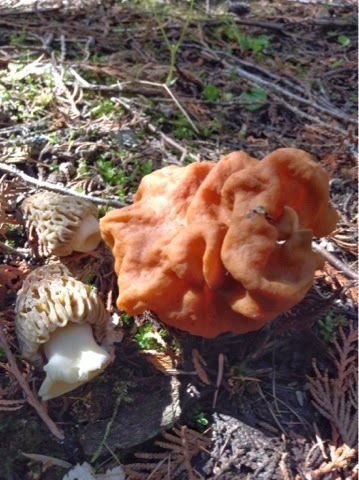 This monster falsie is an ideal exhibit of some of the differences between true and false morels. The comparison is really very slight. 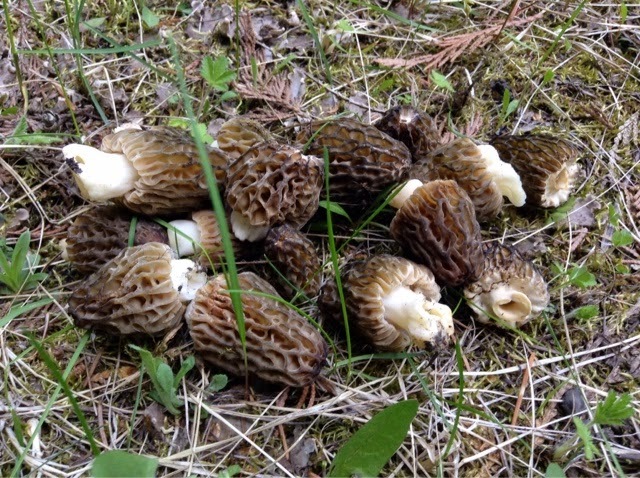 I was lucky to find enough for a meal and then I climbed out of the moist bottom up a dry gulch through sticks and brush. Hopping downed logs. Sweating. I gained a ridge top and looped around to meet my car. I lost track of time, which is not something that happens often these days. I dry-fried them, added a little butter and a little wine. A meager clove of garlic and a touch of chopped parsley. 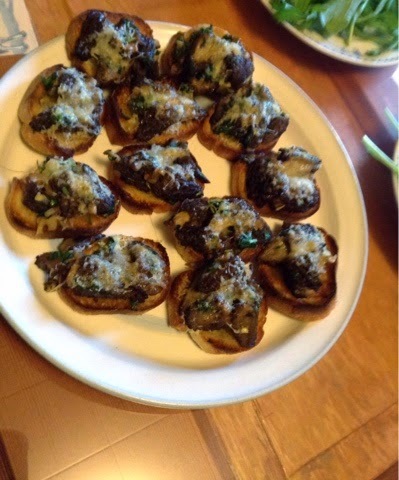 Put them on little toasts and broiled them with a pinch of parmigiano. They were perfect.